What happens when a leader has a desire to show compassion to those far away? Dan O’Deens wanted to create an opportunity for the next generation of missionaries, and that’s exactly what he did. O’Deens founded Breathe Partners, a mission based on developing young leaders and empowering the church, and started a program called Compassion Corp. It began as an opportunity for potential missionaries to try out the mission field in Haiti. 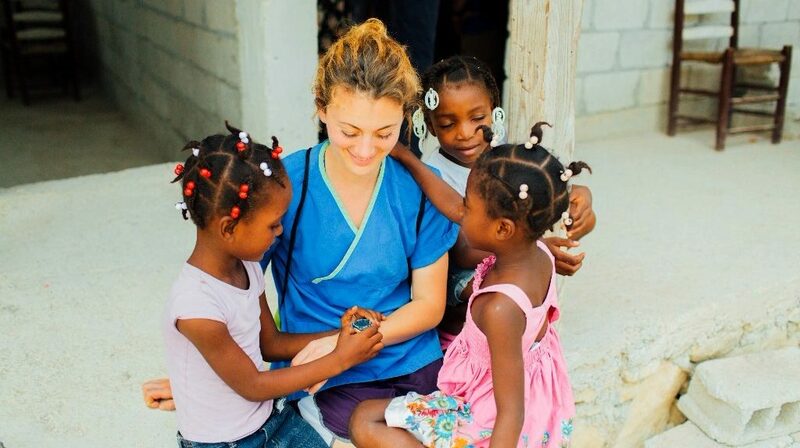 Future missionaries could spend a year working under Compassion Corp, to see if they felt their callings were fit for Haiti and if Breathe was the kind of family that would allow them to accomplish their goals. Now, Compassion Corp has two opportunities. “We have Compassion Corp in Training (C.I.T.), which is for high school juniors and seniors and college kids who want to give six weeks of their summer to share the Lord in Haiti or Philadelphia,” explains O’Deens. The second and primary opportunity of Compassion Corp is for students on mission. O’Deens wanted to give participants the chance to get out on the mission field and gain experience without sacrificing further education. Compassion Corp also allows students to earn a Masters of Arts in Organizational Leadership through its partnership with ACU. Typically, a student may have to work after graduation to pay off debt before he or she could enter the mission field. But once students finish with Compassion Corp, they have the best of both worlds – a degree, no debt because of the support they raised, and the preparedness for missions. O’Deens started Compassion Corp only three years ago, and this is the first year that students have the opportunity to earn a degree. Many of those students are from Grace Fellowship Church (Keith Minier, lead pastor), a Charis Fellowship church in Pickerington, Ohio. But Compassion Corp wants to extend its reach and become more well-known so that other Charis Fellowship churches can tell students about the opportunity to train for missionary work while on the field. Do you love what Compassion Corp is doing? To learn more about the impact that Compassion Corp has, click here, or click here to send a note of encouragement to Dan. Shown in the above photo are the long term students and the Compassion Corp In Training group from 2017. Pictured (L to R): Gracie Clevenger, Auguste Mills, Kelsey Mulligan, Halee Gaff, Megan Yenni, Leah Hill, Kyla Gallion, Alyssa Goad, Vanessa Garay, Brooke Angle, Stephanie Taylor, Noah Hazlerig. Stephanie is the Compassion Corp Coordinator. Brooke will be the first to graduate and join the staff. This story first appeared in GraceConnect eNews. To subscribe to the weekly e-newsletter that includes news and information from congregations in the Fellowship of Grace Brethren Churches, click here.